Last week a company named Oculus managed to upstage NASA’s Mars landing with a ludicrous piece of future tech named the Oculus Rift. Since then, QuakeCon has seen vocal – if wary – supporter John Carmack promise a “fully-supported” Rift for Doom 4, and one astute PCGamesN commenter-commentator has noted the virtual reality headset’s resemblance to the common-or-kitchen toaster. 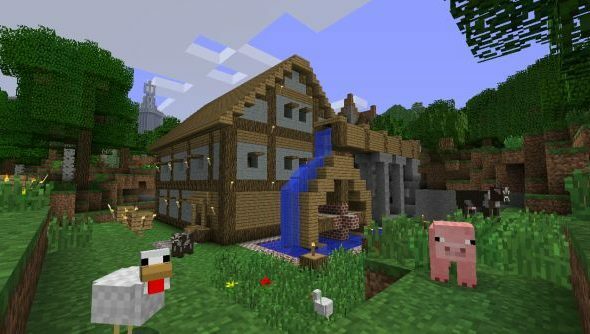 With the benefit of both perspectives, Mojang head Notch is confident enough to promise Rift support for his next game, 0x10c, Java permitting. “If we can get it to work with Java, 0x10c will support it,” said Notch via Twitter. “I can’t promise Minecraft until @jeb_ has tried it. That’s his call!  If I like it, I will certainly ‘suggest’ it,” he added, waving his ‘suggestion’ baton about in his mouse hand like Barack Obama in a diplomatic phone call. If there were ever a game to make Oculus Rift’s 640×800 resolution a non-issue, Minecraft would be it. Imagine turning your head to meet the gaze of an Enderman; that’d be worth donning those oversized shades for.